Stainless steel spiral strands or galfan/crapal-coated spiral strands are essential elements in transparent glass & steel constructions. 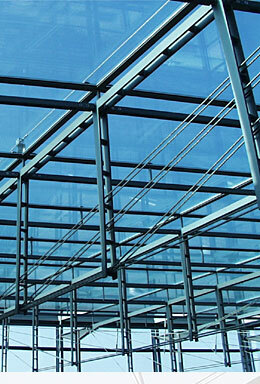 Whether a glass facade or a glass roofing – spiralstrands transmit high forces while showing relatively small diameters. In such a way they are fully integrated in harmonic architecture. We are delivering these highly advanced procucts including complete documentation and certificates. In Germany there are special requirements!